It's a vicious cycle: Your cuticles dry out a little, then snag on something and tear. You pick at your dry cuticles or cut them to even them out, and they grow back unevenly, causing more snagging and tearing. Dry, torn cuticles can make your hands look awful and can expose you to infection. Cuticles protect the body from infections of the nail bed, and damaged ones lose this ability. Repair and maintain your cuticles at home with a routine that will keep them soft and neat. If your dry cuticles are torn and bleeding, use antibacterial ointment and a bandage to protect the exposed areas while they heal. For regular maintenance, put hair conditioner on your cuticles. 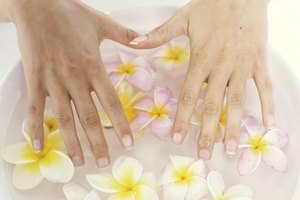 Soak your fingers in warm water for a few minutes to soften the cuticles thoroughly. Use an orange stick to mush back excess cuticles. Follow this treatment with some Vitamin E oil, which is nourishing and helps speed healing. 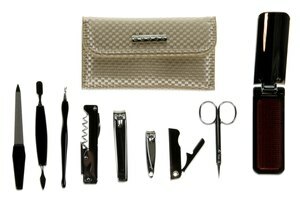 Alternatively, use cuticle clippers to trim your cuticles. Apply a rich hand cream or cuticle cream daily to keep your cuticles soft. This will give you something else to do with your hands if picking at your cuticles is a nervous habit. Wear rubber gloves when you do dishes or garden, because these activities can damage and dry out your cuticles further. 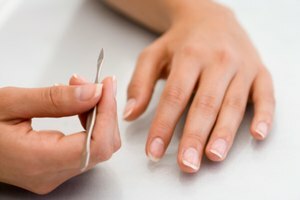 What Are the Causes of Overgrown Cuticles? What Do You Do to Make Your Toe Nails Soft So You Can Cut Them?